Baked Chocolate cake filled with chocolate. Perfect Gooey Chocolate Cake for all Sweet Tooth’s! 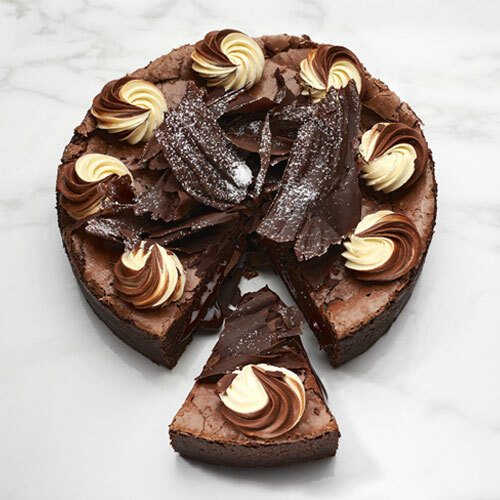 If there’s something, every chocolatier loves; it is a rich, scrumptious and light chocolate cake. Made with the finest dark chocolate, chefs at Smoor have found the perfect dessert to change your day for the best. The all-new Gooey Chocolate cake is available at our online cake shop, and embodies one of the most prominent cake designs in Bangalore. It is a baked chocolate cake oozing with chocolate. You can rely on our hassle-free delivery service to undergo the best shopping experience for online cake order in Bangalore. We use fine-quality ingredients for baking and provide made-to-order cakes, which keep the freshness intact. You can buy Gooey Chocolate Cake online for every occasion, be it a grand birthday celebration or just a dessert after dinner. Drop by at our store in Bangalore to explore the entire collection of cakes and couverture chocolates in person, while savoring the best patisseries.